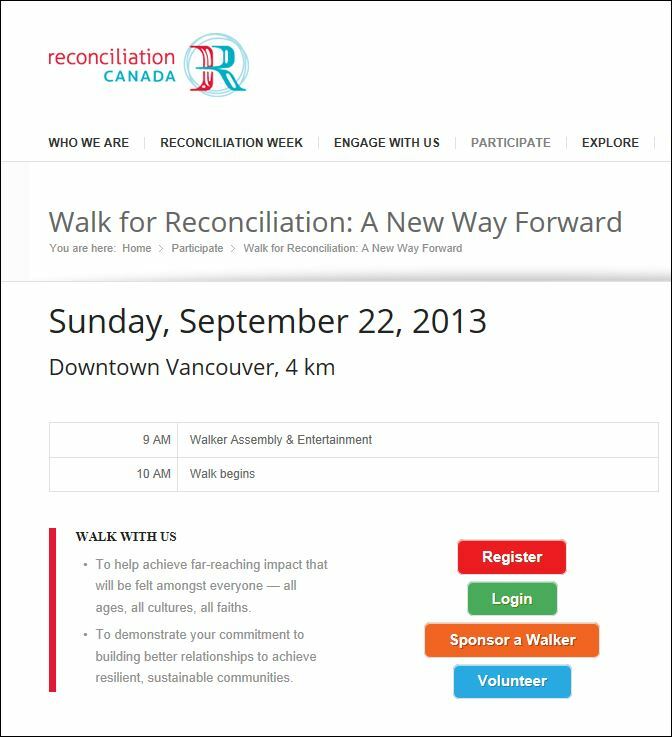 The Walk for Reconciliation is designed to transform and renew the very essence of relationships among Aboriginal peoples and all Canadians. It sounds so simple, but just the act of gathering and walking and sharing our stories can join us all in a shared commitment to creating a new way forward in our relationships with each other. It’s time to move past apologies and politics and money. It’s time to move forward. Together. Our future depends on being able to simply get along, respecting each other for the unique gifts we bring. The time is now to show our children, our neighbours and even other countries that Canada knows how to get it right.